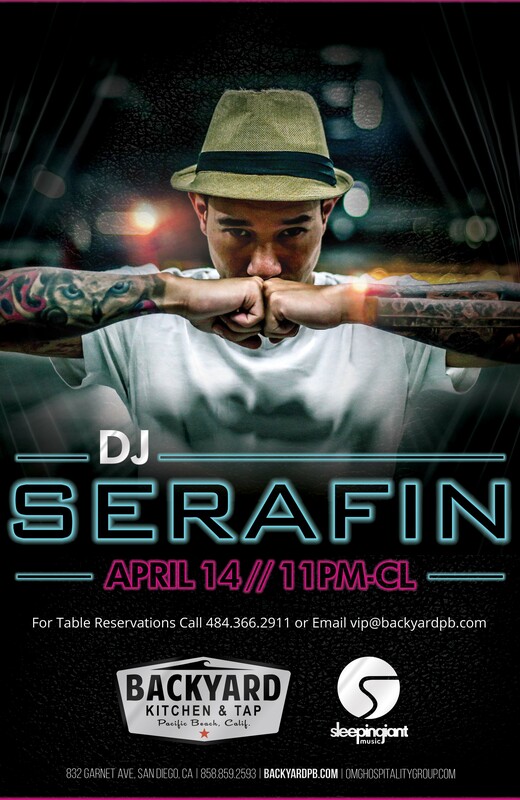 Join us for DJ SERAFIN, APR 14th from 11PM-Close. 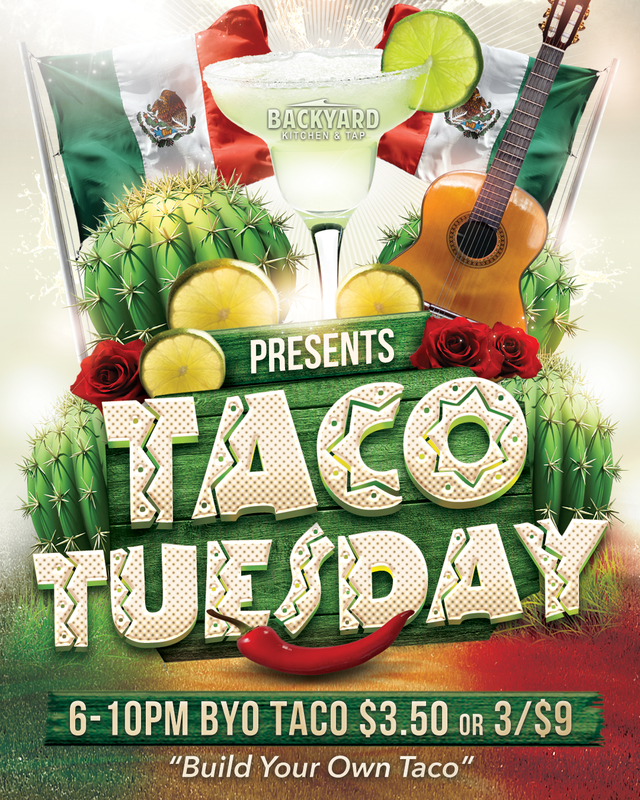 BAJA Tuesday is now BYOTACO TUESDAY, with a build your own taco bar for $3.50/taco or 3/$9! Come for the tacos, and of course, stay for DJ SCHOENY. 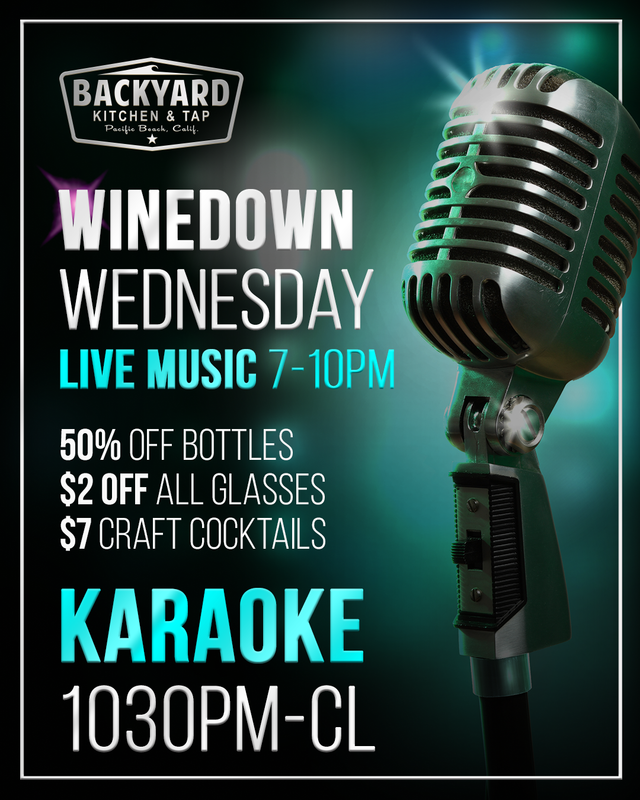 WINE DOWN WEDNESDAY is back, along with vino specials, live tunes & karaoke! 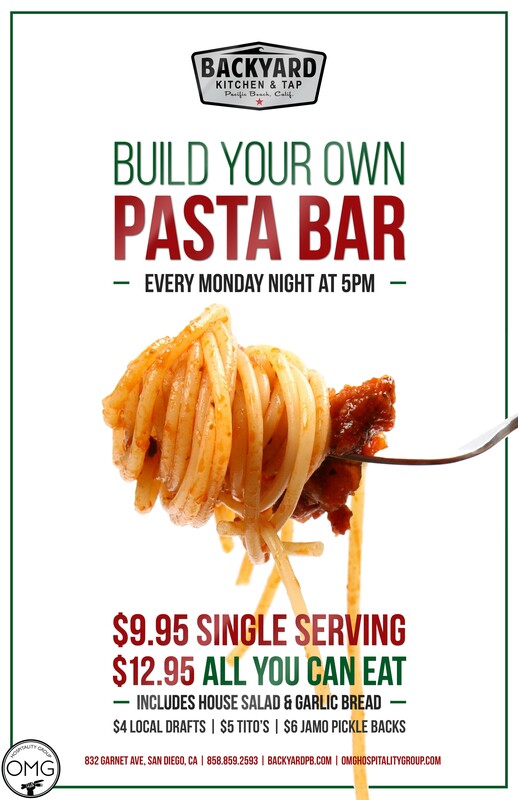 ALL YOU CAN EAT pasta night now has DRINK SPECIALS! Carb up before you drink up and enjoy $4 local drafts, $5 titos and $6 jamo pickle backs.